The victims of serious injuries and accidents are often left with a lot of questions. In our FAQ, you can get the answers to some of the most common questions our Nashville injury attorneys hear, as well as important information about your rights and legal options if you’ve been hurt in Tennessee. How is Wrongful Death Money Distributed Among Family Members? One of the questions many family members want to know when a loved one is killed by someone else’s carelessness is…. If there is a recovery, how do the various family members split the proceeds? This is a great question and one that is often litigated. Fortunately, we have a body of law in Tennessee that gives us direction. Tennessee’s Wrongful Death Law is a creature of statute. This means that the rights of a deceased person are governed not by prior rulings of courts per se (i.e. “common law”) but are determined by the legislature. Unfortunately, the legislature does not foresee every possible occurrence, so we look first to the written law, and then to the cases interpreting that law. One of the first things to understand is that there are 2 categories, or classes, of people in wrongful death cases. First, you must identify the proper parties who have the right to bring the lawsuit and control the litigation. Secondly, you must identify all people who have the right to share in the proceeds of that lawsuit. These are not one in the same most of the time. For example, suppose there is a man who is married, divorced, has 3 adult children, then gets remarried and is living with his second wife at the time he is killed in a wreck caused by a dump truck. Who gets the proceeds from any recovery by the dump truck’s insurance carrier? Who has the right to sue? Is it the children… or the current spouse? Tennessee law is clear on the “priority” of who can properly bring the lawsuit. That right clearly rests with the surviving spouse. If the surviving spouse does not act, or waives her right to sue, then any of the 3 children can bring the lawsuit. What if the children file the lawsuit right away and the wife brings her lawsuit on behalf of her husband 10 months later, who controls the lawsuit? The wife has the statutory right of control to bring the lawsuit, and if properly filed, will take priority over the children’s claims, which will be dismissed. The surviving spouse has the right to either litigate the claim or to settle in a manner that is binding on the children. Their consent is not material to the outcome of any settlement or decision to proceed to trial. The children also do not have the privilege to employ separate counsel to protect their interest in receiving a share of the wrongful death proceeds. The children do have a right to “consortium damages” from the wrongful death proceeds. However, this claim is not considered a “separate claim” or an independent cause of action in the case. The children’s claims are merely considered one component of the value of the decedent’s life. If proceeds are obtained in settlement or judgment in a wrongful death claim, how are they divided? Again, the law is clear … Proceeds of a wrongful death action are distributed according to the laws of intestate succession. Foster v. Jeffers, 813 S.W.2d 755(1963) These are the same laws that govern the distribution of the assets of a person’s estate if there is no will. If there is a spouse and no children, the surviving spouse will get 100% of the proceeds. If there is a surviving spouse and 1 child, the proceeds will be split equally. If there are 2 children and a surviving spouse, the proceeds will be divided 1/3 each. The surviving spouse will never receive less than a 1/3 share of the proceeds, with the remainder of funds being divided amongst the number of children heirs. 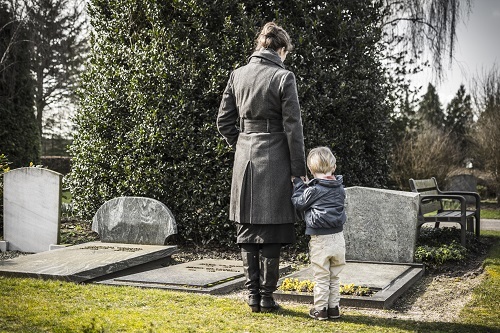 There is no need for every wrongful death beneficiary to bring a lawsuit or intervene in a lawsuit filed by another beneficiary in order to preserve his or her right to receive a portion of the wrongful death proceeds. Shedd v. Community Health Systems, Inc., (citation omitted). There are some exceptions to this general rule. For example, if the surviving spouse’s actions played a role in the death of the decedent, he/she may not be able to recover (i.e. murder, drinking and driving contributed to a spouse’s death). Nelson v. Myres, (citation omitted). Prenuptial and ante/post-nuptial agreements may also inadvertently waive the right to share in any recovery proceeds of a wrongful death claim. If the surviving spouse is behind on child support payments, he may not recover until he has brought those payments current, with interest. If one spouse has abandoned the other spouse while still “married” then that person may not share in the proceeds. T.C.A. 20-5-106(c). These cases are intensely fact specific and there is not always a “one size fits all” approach. If you have lost a loved one through the carelessness of someone else, you may wish to contact one of our firm’s award-winning lawyers, who are constantly battling these exact types of cases on a daily basis, and sit down with us to discuss the facts of your case, and show you exactly what you need to do to protect yourself. Protecting your family. It is what we do. Every day. Do I need an attorney if a driver hit me while I was riding my bike? Bicyclists are far more exposed in a collision than the drivers of passenger vehicles, and are much more likely to be injured in a collision. That said, bike riders do not always need a lawyer to get payment after a crash. If the incident was minor and did not cause any lasting damage, the biker may be able to get proper compensation from his insurance company without the aid of an attorney. However, if your injuries were severe enough that you took an ambulance to the hospital, underwent extensive treatment, or were unable to return to work for at least a week, you should seek the assistance of an attorney as soon as you are able. For many victims, the question isn’t whether to hire an attorney, but at what point they should seek an attorney’s advice. Some may wait and see if the insurer will make an offer that will cover their costs, while others are simply too injured and overwhelmed by the aftermath of a crash to take on the additional burden of finding a legal representative. Unfortunately, it is often beneficial to hire a lawyer sooner rather than later—and those who hire a lawyer too late may risk their right to injury compensation. Collecting viable evidence. Evidence in an accident case can be lost or destroyed in the days and weeks following the crash. The longer the delay in conducting an investigation, the greater the chance that vital evidence will be lost. Your attorney can track down witnesses, find any accident footage, get a copy of the police report, and take photos of the scene to corroborate your story. Proving negligence. Even if you were the only one hurt in a crash, you will still need to prove negligence in an injury case to get compensation. Many victims who are coping with broken bones or traumatic brain injuries do not have the time, energy, or legal knowledge to build an effective case. An injury attorney knows what must be done to prove negligence, and can hire accident reconstructionists or expert witnesses to testify on your behalf. Preventing mistakes that can hurt your case. Victims often make mistakes early in the process that can prevent them from collecting payment. An attorney can stop victims from giving a recorded statement to an insurer or signing documents or medical records authorizations that can give the other party an unfair advantage. A strong negotiating position. Insurance adjusters have years of training in devaluing claims and getting victims to agree to low settlements. Victims who attempt to “go it alone” may share too much with the adjuster, accept a settlement before the injury has fully healed, or fail to calculate the full amount of their losses. An attorney who has bicycle accident experience will be able to make an accurate estimate of your losses and can take an offer to an insurer without succumbing to the company’s manipulative tactics. Expediting your case. There are many deadlines that must be met throughout an injury claim, including notifying your insurance company of a crash, filing documents, and bringing a case before the statute of limitations expires. Your attorney will not only ensure that deadlines are met, but will also address any delays (such as getting copies of your injury records from medical facilities and completing court paperwork) to get you the compensation you deserve as quickly as possible. At GriffithLaw, we handle the details of your case while you focus on your recovery. Our legal team can begin an immediate investigation of the facts surrounding your accident and advise you on your next steps—and we do not collect any payment from you until your case is won. Whether we are able to secure you a settlement or your case proceeds to trial, our bicycle accident attorneys will fight to get you the maximum amount of compensation you deserve. Simply fill out the short contact form on this page or request a free copy of our book, The 10 Worst Mistakes You Can Make With Your Tennessee Injury Case. Who Can Be Held Liable in a Bicycle Accident? How should I prepare for my first meeting with an injury attorney? Your first meeting with an attorney may seem daunting, but the truth is that you have just taken the first step towards putting your accident behind you. The right personal injury attorney can help you get the payment you need for your medical bills, missed wages, property damage, and other losses so that you can move forward with your life. With a little planning, you can leave the attorney’s office feeling stronger than you have in a long time. It can be stressful to meet with a stranger, especially when you aren’t feeling your best. Try to remember that he or she only wants to help you, and that you are in control of the meeting. In a free consultation, anything you say is protected by attorney-client privilege—even if you ultimately choose not to hire the lawyer—so there is very little risk for you and a great opportunity to learn more about your options. A written account of the accident. If you have not already done so, you should write down everything you can remember about the accident. Your memory of what happened can be invaluable to an attorney when building your case, as it will give him or her many leads to follow. For example, if you distinctly remember two employees arguing about who was to blame when you slipped in a grocery store, their words can be used as evidence that the store owner knew that a dangerous condition existed. Your account of the accident should include the date and time of the injury, the place where the accident occurred, the people who were there, what you were doing right before the accident, what you did afterward, how others responded to the accident, a description of the scene, and any other details you can remember. Evidence. If you collected any evidence that you think could be useful, be sure to bring it with you. Pictures of the accident scene, an incident report or police report, names and contact information of witnesses, and emails or correspondence from the at-fault party can be invaluable in proving negligence in your case. Documentation of your injuries. The amount you can receive in an accident case is based on the severity of your injuries, but it will take extensive proof to get full compensation for all you have suffered. Keep a file with copies of all medical records related to the accident, such as x-rays, treatment records, follow-up care, diagnostic test results, prescriptions, and invoices. The paperwork should be in order from your emergency treatment and initial diagnosis to and your current medical condition. You should also bring paystubs from the time of the injury and any correspondence from an employer about your time away from work. Your insurance information. You should bring a copy of your available insurance policies (such as health insurance and car insurance) as well as any letters or notifications you have received from your insurer or the other party’s insurance company. A list of questions. Your attorney will likely ask you questions to get a sense of your case, but you should come prepared with a few of your own. Don’t be afraid of asking silly questions; you don’t have the same experience the attorney does, and he or she should be gracious when listening to your concerns. You may ask whether you need an attorney, how long it will take to resolve the case, and how likely it is that you can resolve the case out of court—and even if the attorney cannot provide a definitive answer, he or she should tell you what you need to do next for the best outcome. Your consultation is a chance for you to see whether you and the lawyer want to work together—and if you do not, you should lose no more than an hour of your time. To set up your free initial consultation with a personal injury attorney, simply fill out the short contact form on this page. To learn more about your case, request a free copy of our book, The 10 Worst Mistakes You Can Make With Your Tennessee Injury Case. In Tennessee, the at-fault driver’s auto insurance pays for any lost income and medical costs arising from an accident, and insurers may offer a fast settlement in order to close the case quickly. However, it is important for victims to realize that they will give up their rights to any additional claims stemming from the same accident once they accept a settlement, so they should weigh their options carefully before agreeing to a deal. If you have suffered serious injuries in a car accident, it is likely that the insurance company responsible for covering your crash costs will offer you a settlement to resolve your case. Insurers and injury victims can negotiate settlement amounts throughout the claims process and even during a trial, and the vast majority of cases will be settled before ever proceeding to court. It may even be to your advantage to settle, as it allows you to end the dispute without taking the risk of losing at trial. Whether your injuries are likely to improve. You should never accept a settlement until you know the full extent of your injuries. An initial settlement may be offered just a few weeks after the crash, and it may be months before you know whether you will be able to return to work or live with permanent limitations. If you feel that an insurance company is rushing you to accept an offer, you should speak to an attorney as soon as possible. The sum total of your accident costs. The amount of losses in an accident can quickly spiral into the thousands, especially if the victim has been unable to work. Victims will need to gather many different documents to calculate the amount of lost time from work, lost bonuses and sick days, property damage, hospital and outpatient appointments, mileage to medical appointments, rehabilitation, psychological treatment, and out-of-pocket costs. The amount of your future losses. Your injuries may require ongoing medical care, affect your future health, and severely hinder your ability to earn a living. Unfortunately, it can be difficult for victims to estimate the amount of potential financial losses, and they will need to consult with an attorney to properly value their cases. Your pain and suffering. Juries have the ability to award pain and suffering (called non-economic damages) of tens of thousands of dollars for emotional, physical, and psychiatric distress caused by the accident. However, most insurers will not offer an amount to cover pain and suffering unless they think the victim has a good chance of winning at trial. The strength of your case. Insurers’ offers are based not just on the sum total of your losses, but on the likelihood each side has of winning at trial. If the at-fault driver was intoxicated, has a poor driving record, or has a history of negligent driving, the insurer may be more likely to settle because the jury may side with the victim. Similarly, if your medical records show extensive injuries or permanent disability, the jury may be more willing to award higher pain and suffering damages. What your goals are. It is important to determine what the best outcome would be, as well as the minimum amount you would be willing to accept. Some victims may be concerned with their ability to support their families after an injury, while others are looking for closure after losing a loved one in the crash. Settlements often give victims more control over the terms in the outcome of their case, such as requiring a formal apology or other non-monetary compensation. If an insurance company has offered you a settlement, we can evaluate whether the amount will meet your needs and gather the necessary documents to enter into negotiation. Whether we are able to secure you a settlement or your case proceeds to trial, our experienced car accident attorneys will fight to get you the maximum amount of compensation you deserve. Simply fill out the short contact form on this page or request a free copy of our book, The 10 Worst Mistakes You Can Make With Your Tennessee Injury Case. What is a focus group and why is it important? One of the biggest challenges for a victim in a personal injury case is deciding whether to accept a settlement or take a case to trial. It can be tempting to accept a lower settlement rather than risk receiving nothing at all by going to trial—and many victims make this decision based solely on an attorney’s advice. However, our attorneys offer an additional strategy to get our clients the best possible resolution to their case. By convening focus groups, we get an idea of what to expect in court, strengthening both our client’s case and bargaining position. At GriffithLaw, we will often gather members of the community together in a focus group to conduct a mock-trial of a case. We may present evidence, visual aids, and testimonies in exactly the same way we would in court, encouraging members of the group to ask questions and offer their opinions. The “jury” will deliberate, offer its decision, and tell us the amount of damages they would award our client if they were assigned to hear the case. This is not something all attorneys do. It should be noted that a focus group is not a foolproof prediction of what will happen at trial. There are too many variables (including the judge, defense attorney, and jury pool) to predict exactly what will happen in court. That said, focus groups can be invaluable when it comes to testing different presentation strategies, knowing how we should present the information that matters most to jurors, and applying the information we gather to negotiate a better settlement. Get inside the mind of the jury. No matter how much preparation attorneys do, they can never be certain how a jury will feel about any particular case. Focus groups get opinions from a mixed group of people with no relation to anyone in the case, giving attorneys insight on how others might approach and interpret the facts. Listen to deliberation. While people involved in a case are not allowed to listen to a real jury deliberate, attorneys may watch focus group deliberations via recording session. By listening to the conversation, attorneys can identify which evidence is most important, which jury members are likely to side with the victim, and major factors that lead the jury to make its final ruling. Identify potential weaknesses and biases. Most attorneys will be able to identify the weaknesses in their own cases. However, watching the focus group allows them to see how much weight is given to weaker elements of the case. Attorneys may also notice that some individuals are more likely to be biased against their clients, giving them an insight into jury selection. Hone our arguments. An attorney’s presentation of the case can vary greatly before and after a focus group. The focus group’s questions can add depth to the original preparation, or it can inspire us to take a completely different approach to presenting the case. Estimate damages. Attorneys can meticulously detail the costs of an injury, but in the end, the amount of damages in a car accident case is up to the jury. It is not uncommon for juries, victims, and attorneys to have varying opinions on what the amount of damages should be, and convening a focus group is an opportunity to get all parties on the same page. For example, if a victim refuses to settle for anything less than $500,000, but is awarded only $200,000 by a focus group, he or she may be more likely to accept a $300,000 settlement when it is offered by an insurer. Save time. A focus group offers both attorneys and victims an opportunity to resolve a case more quickly. First, they will know exactly which parts of the case are most relevant to the jury. Second, they will be able to judge with confidence whether a settlement offer is fair. Finally, they will be able to gauge the likelihood of winning the case in court, taking some of the risk out of proceeding to trial. The injury attorneys at GriffithLaw are proud to provide initial consultations to victims free of charge, and we do not collect any legal fees until your case is resolved. To learn more about your rights, simply fill out the short contact form on this page or request a free copy of our book, The 10 Worst Mistakes You Can Make With Your Tennessee Injury Case. If I was hurt on vacation in Nashville, do I have to remain here until the incident is settled? If you suffered an injury as a tourist, you may be tempted to cut your trip short in order to seek medical attention back home. While it may seem like a good idea to go back to your own doctors and pursue an injury case in your home town, leaving the area where you have been injured can cause complications—especially if you live outside of Tennessee. The most important thing you should do after suffering an accident on vacation is to seek immediate medical attention for your injuries. Not only will this ensure that it is safe for you to travel without further risk to your health, it documents the state you were in immediately after the accident occurred. This is vital for making an insurance claim or filing an injury lawsuit, as failure to seek medical treatment may be seen as evidence that injuries were not as severe as you claim. The next thing you should do before returning home is speak with a local injury attorney. Injury laws vary from state to state, and a local attorney will know the applicable procedures and requirements for a slip and fall, car accident, or other injury in Tennessee. Notification. Timeliness is an important factor in an injury case, and a local attorney can ensure that you take necessary steps to report the incident as soon as possible. This may include filing a police report, notifying a property owner about a dangerous condition, or making sure the incident has been properly documented before you leave town. Investigation. A Nashville attorney will have a familiarity and understanding of the location where you were injured, as well as relationships with local accident scene investigators and credible expert witnesses. The sooner you speak with a local attorney, the more likely it is that he or she will be able to collect and preserve vital evidence, such as pictures of the accident location, contact information for witnesses and property owners, and copies of your emergency treatment records. Insurance claims. A local attorney can determine whose insurance policy should cover your injuries, as well as how to file the claim and deal with an insurance agent. An attorney can even deal with the insurer on your behalf, negotiating a fair settlement without the risk of the victim accidentally saying something that devalues the claim. Filing suit. If your case cannot be resolved without filling a lawsuit, you can take comfort in the fact that your attorney is licensed to practice law in the city where the accident took place—and as an added bonus, a local attorney will be familiar with the Tennessee court system. Recovery. Once you have a local attorney working on your claim, he or she can advise you of the best time to go home without risking the outcome of your case. An attorney will be able to tell you how your actions may be perceived by insurers, allowing you to avoid resistance to your claim. Your attorney should provide you with clear instructions on what your responsibilities are—such as following up on your medical treatment, taking time off work, and staying off social media—allowing you to protect your case after you have returned to your home state. Injury victims can often return to their home states while their Nashville attorneys go to work, keeping the victim updated on the progression of the case. At GriffithLaw, we are proud to provide initial consultations to victims free of charge, and we do not collect any legal fees until your case is resolved. To learn more about your rights, simply fill out the short contact form on this page or request a free copy of our book, The 10 Worst Mistakes You Can Make With Your Tennessee Injury Case. If I was injured while on vacation in Nashville, should I wait until I'm back home to hire an attorney? If you suffer an injury in your hometown, you can take comfort in the fact that you have familiar faces nearby to help—including your own doctors, family, and friends. However, if you are involved in an accident while visiting Nashville on vacation, you may have to rely on strangers for your medical treatment, car repairs, and even advice on what to do next. The best way to learn about your compensation options—and ensure that negligent parties do not take advantage of you—is to seek the advice of an attorney before you leave Tennessee. Knowledge of Tennessee injury laws. Most injury laws vary from state to state, and the rules of your home state may not apply in your accident case. Some common mistakes made by out-of-state attorneys include not knowing the applicable statute of limitations for your type of injury or an unfamiliarity with Tennessee’s comparative fault laws. Medical and specialist recommendations. As injury cases rely on medical evidence gathered in the hours and days after an accident occurs, victims should seek medical attention before returning home. Your attorney may be able to recommend a local doctor who can evaluate and document your injuries in a timely manner, or may be able to refer you to a specialist after you are released from the emergency room. Context for your type of accident. A local injury lawyer will have access to small details that can have a big impact on your case. For example, if you suffered a car accident at a particularly dangerous intersection, the local attorney is more likely to know if this intersection has seen similar accidents and whether a third party (such as a construction crew or landscaping company) may be liable for the crash. Your attorney should also know how much accident cases in the city or county are typically worth, and use commonalities with similar cases to negotiate your settlement. Proper jurisdiction. Even if a lawyer back home can advise you on your case, he or she may not be able to file the case in Tennessee court. Attorneys can only file a lawsuit in court if they are licensed to practice law in that state—and in most cases, injuries that occur in Tennessee will be processed through the Tennessee court system. Familiarity with state courts and procedures. A local lawyer should understand the state laws applicable in your case, and he or she is likely to have experience with the Tennessee court system. In addition, a Tennessee injury attorney will know which professionals in the area are qualified to perform investigations and offer testimony on your case, such as local accident reconstructionists and medical experts. Preserving evidence. Evidence disappears with each passing day after an accident, and it may be impossible to recover once you are back home. A local attorney can photograph or record a video of the accident scene, take note of any defects on the premises or roadway, note damage to vehicles or personal property, document the weather conditions, and obtain contact information for the at-fault party and witnesses. Preventing you from making mistakes. Many victims are eager to resolve their cases as quickly as possible so they can return home. Unfortunately, this may lead them to give recorded statements to the insurance company, fail to obtain a copy of the police report, or make additional mistakes that can devalue their claims. If you have suffered a car accident, truck crash, slip and fall, or other injury while on vacation in Nashville, we are here to help. The injury attorneys at GriffithLaw are proud to provide initial consultations to victims free of charge, and we do not collect any legal fees until your case is resolved. To learn more about your rights, simply fill out the short contact form on this page or request a free copy of our book, The 10 Worst Mistakes You Can Make With Your Tennessee Injury Case. What is a free consultation and how does it work? People who have been in an accident are often at a significant financial and physical disadvantage, and have no idea what their legal rights are after an injury. In order to give victims a convenient and low-risk way to get specific and relevant information they can use, many personal injury and wrongful death attorneys will offer a free initial consultation, particularly if they take injury cases on a contingency-fee basis. 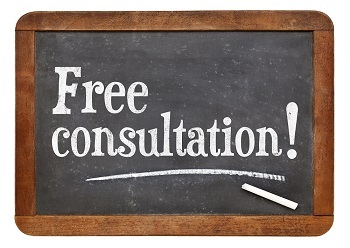 What Can I Expect During a Free Consultation? Before an attorney and client can get started on a case, they will need to have a face-to-face meeting to see if they can work together. The attorney will sit down with the prospective client, listen to the client’s story, and offer some initial thoughts and suggestions about the case. A free consultation will usually last an hour, and the prospective client will not be billed for the lawyer’s time. Whether you have a valid claim. The attorney should be able to tell you if you have a case from a legal standpoint, taking state negligence laws and statutes of limitations into consideration. Whether you need a lawyer’s help. A good attorney will tell you whether you need a legal representative for your case, or whether you may be able to resolve the case on your own. Whether this particular attorney can help you. The best attorney for your case is one who has experience winning your specific type of injury case. If the attorney does not handle your type of accident case, he or she may refer you to someone who does. What you should do next. At the end of the consultation, you may sign an agreement for the lawyer to take the case, decide that you do not want to hire the lawyer, or the lawyer may decide that he or she cannot help you. The best way to prepare for an initial meeting with an attorney is to bring all documents that could be relevant to your case. This can include medical records, communications between you and an insurance company, wage loss statements, and photos of your injuries and the accident scene. The less time it takes for the lawyer to understand your case, the more time you will have to discuss potential solutions. Be honest. An attorney cannot help you if you do not tell him the truth, even if that may include embarrassing or sensitive information. Any contact you have with an attorney is private, so you should answer any questions the lawyer puts to you honestly. Make the most of your time. Attorneys have a time limit on their consultations (usually 30 to 60 minutes), so you will want to stay focused to get the best and most relevant information. It may feel good to express your frustration, but sticking to the facts will be more beneficial to your case. Listen closely. Lawyers give advice from a legal and professional standpoint, and your best options may not be what you were hoping for. Remember that the attorney is working for your best interests, but can only do what he can considering the facts of the case. Ask questions. A lawyer may wish to proceed with your case in a specific way, use acronyms you do not understand, or take one approach over another. If you do not understand something, do not hesitate to clarify details with the attorney. Take notes. It helps to write down any notes, such as outlining the different legal procedures, noting how long the case may take to resolve or what your responsibilities are while your case is pending. Determine the attorney’s fee. A lawyer should tell you at the first meeting how much he or she charges, as well as what court and filing costs you are expected to cover. If the attorney charges a contingency fee, the percentage of the recovery used to pay legal fees should be spelled out in the fee agreement. What is res ipsa loquitur, and how does it affect my accident case? Res ipsa loquitur, a Latin phrase meaning “the thing speaks for itself,” applies to accident cases where negligence is assumed based on the way the injury occurred. Much like negligence per se, this legal doctrine makes it easier to prove that a defendant was responsible for a victim’s suffering. In a typical accident case, injury victims are required to prove four elements of negligence: the defendant owed the victim a duty of care, the defendant breached the duty of care, the injury was a direct result of the breach, and the victim suffered as a result of the injury. However, if res ipsa loquitur applies, breach of duty of care is assumed and the victim only needs to prove the tenets of the law regarding his injury. Res ipsa loquitur is only applied to cases where the injury that occurred could only have been caused by negligence. It is often used in medical malpractice cases, since patients often have little control what happens to them when they are hospitalized, undergoing surgery, or are following a doctor’s recommended course of treatment. For example, there is an express duty of care between a surgeon and a patient—and if the surgeon operates on the wrong body part, he has breached the duty of care. The type of accident that occurred is usually a result of negligence. There are many ways accidents can occur, and res ipsa loquitur relies on the specific manner in which the injury occurred—in other words, whether the defendant could have avoided causing injury by exercising more care. If the injury was inevitable (such as a severe infection in a patient that could not have been prevented), res ipsa loquitur may be defeated. The defendant had sole control over the conditions that led to injury. Res ipsa loquitur may not apply if the victim shared some responsibility for the injury. For example, a victim on a cell phone may be distracted at the moment he or she is struck by a driver making an illegal turn. In these cases, the court may reduce the amount of a victim’s damages under the law of comparative negligence. The injury attorneys at GriffithLaw can examine the negligence laws that apply to your case and advise you of your next steps at no cost to you. Our injury attorneys provide initial consultations free of charge, and we do not collect any legal fees until your case is resolved. To learn more about your rights, simply fill out the short contact form on this page or request a free copy of our book, The 10 Worst Mistakes You Can Make With Your Tennessee Injury Case.